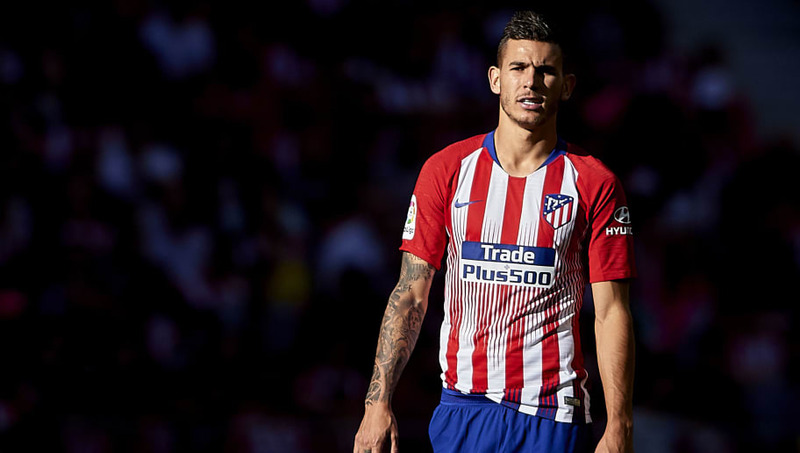 ​Atletico Madrid defender Lucas Hernandez has revealed that he rejected the chance to join Real Madrid last summer, stating his desire to stay at the Wanda Metropolitano for "a long time". Los Blancos wanted to sign the World Cup winner last summer and made an offer of €80m, which would have been a club-record fee for Los Rojiblancos. However, Hernandez had recently signed a contract extension with ​Atletico until 2024 and was not interested in making the move. "I didn't listen too much because I was 100 per cent focused on my club and renewed my deal recently. My agent told me a bit but I told him not to do that," Hernandez told RMC Sport. "Atletico is my club, the team that gave me everything, I'm an honest person and I cannot go to Madrid." Hernandez added that "I want to stay here a long time" but admitted that "football goes very quickly, if an unrejectable offer came..."
Lucas's brother Theo Hernandez joined ​Real Madrid from Atletico the previous summer for €30m, although he had never made an appearance for Diego Simeone's team. Lucas Hernandez has made 93 appearances for Atletico after coming through the youth ranks and making his La Liga debut in 2014. He received his first international call-up for France in March of this year and went on to play every game at the World Cup as Les Bleus were crowned world champions in Russia.